On Friday, October 13, 2017, PASSWP held its biannual conference where over 120 school social workers came out to participate in networking and professional development at Messiah College. 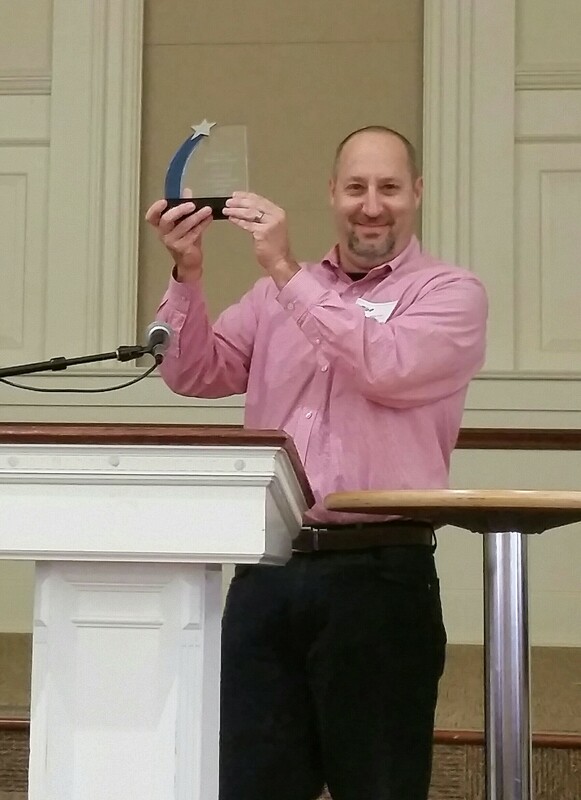 Mike Fiore, LSW, HSV was recognized as the Social Worker of the Year. Mike works as a tireless advocate for the students and families of the Council Rock School District. In addition, Mike is a leader throughout Bucks County, organizing numerous events and training opportunities for colleagues. He has given his time and dedication to help SSW's become recognized across the state of PA. He collaborates with many agencies such as NASW, PSEA, SSWAA. He has been past president of PASSWP and continues to be committed to keeping PASSWP going! In addition, he has been a member of the board of directors of Big Brothers/Big Sisters of Bucks County. If there is a need or a problem, Mike is the first one to step in and say "what can I do to help." In recognition of this hard work and commitment, Fiore was recognized by PASSWP as the 2017 School Social Worker/Home & School Visitor of the Year. Thank you, Mike, for all your hard work and for all you have done for your students, their families, and your colleagues in Pennsylvania!